When we read through the Bible, there is one person who is more reviled than any other. We have a hard time wrapping our minds around a man who could travel for years with Jesus as his friend and disciple and then betray him for thirty pieces of silver. It's easy for us to forget that Judas Iscariot was a person, just as we are, with strengths and weaknesses, triumphs and failings. 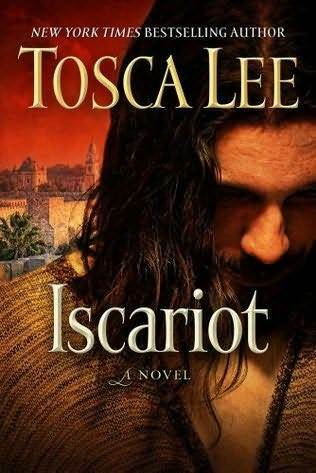 Tosca Lee has not forgotten this and in her latest novel Iscariot, she gives us a compelling picture of what the story of Judas could have been. We first encounter Judas at the end of his life, where he is thinking back over his life and trying to determine how he has ended up here. From there, we are taken back to his childhood. Judas is a man whose heart has been broken many times over. He has lost his father, his brother, and his wife to Roman violence and is looking for a leader who will bring justice and peace to his land. He initially approaches both John the Baptist and Jesus himself to find out if they will join his group of zealots in reclaiming their homeland. But Jesus is so different from what Judas expected that he can't help but follow him. Lee accomplishes two difficult things in this novel. First, her research is an effortless part of the story. She writes in the author's note that the book was originally twice as long and extremely research heavy. In revising the book, she cut out a lot of the facts and focused on the character of Judas. But we really experience the uncertainty of living during this time period for the Jewish people and the complicated hierarchy of Jewish tradition. The second thing Lee achieves is making one of the most hated men in all of history interesting and even likable. It's easy to think of Judas as someone who is evil and conniving from the beginning. It's much more challenging to think of him as a man who truly loved Jesus and considered him his best friend and teacher. As events progress, Judas is faced with a dilemma. He can't see a way in which things end well for Jesus, for the other followers, or for himself. In Ms. Lee's version, Judas makes what he views as the best of some very bad options. That choice spins wildly out of control with consequences that Judas never foresaw. While I don't know that I buy the sequence of events, I can't deny that reading this book made me dramatically rethink the way I perceive Judas. This would be a really great book to read right now during Lent as many of us are thinking about the last days of Christ. You know that a book is well-written when you know how it will end, but can't help but read a few more pages. Tosca Lee has written a very engaging book that will make readers reconsider the way they see Jesus and the way that they think of the man who has come to represent the very worst of humanity. To the guys and gals of the FTC: I received this book from The DeMoss Group in exchange for an honest review. Thank you, Adrienne!